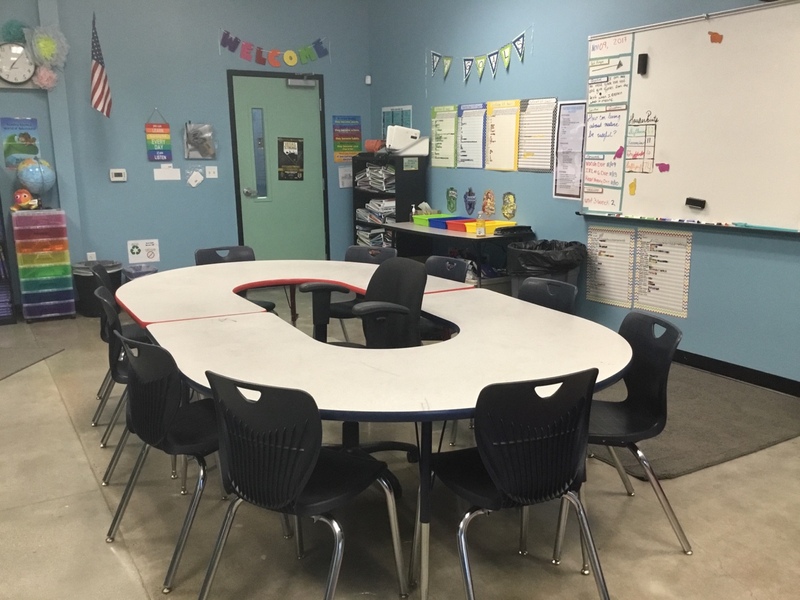 The question most teachers ask these days is, “How can I turn my classroom into a flexible seating arrangement?” The process can be simple or intricate, depending on how and when you want to roll flexible seating out into your classroom. For me, I initially rolled this concept out in the middle of the school year. This being said, flexible seating can truly be done at anytime in the year, just as long as you are confident in your methods. Here is a breakdown of the steps to take to get flexible seating up and running in your classroom as soon as possible. Step 1: Visualize your flexible space, and organize your materials wish list. It is important to understand what your space can and cannot hold, as well as what is age- appropriate for your students. For example, although that adorable mini ladybug chair fits perfectly in a kindergarten classroom, it may be a tad too small and out of place in a middle school classroom. Understand that having flexible seating means having different seating choices. Think about how multiple levels play into your classroom. For example, you can have students sitting on the floor, kneeling, sitting at traditional desks, and standing at high-top tables. It all depends on your space and the materials you have. Keep in mind how you teach and what you as a teacher need as well. For example, if you are a consistent circulator, make sure you have enough walking room throughout your spaces. Step 2: Spread the word for support and donations. Send out a special news bulletin or email to your co-workers and student families letting them know about the big changes that will be happening in your classroom. Ask for suggested donations of gently used items or new items. The more donations and support the merrier! Ask and notify your administration about the big change. Make sure that they are on board and that they understand your plan. This is a big change for a lot of administrators, and a lot of the time they will not fully understand it until they see it in action. Do not be discouraged if they are not as excited as you are – it takes time to get used to seeing a non-traditional classroom in real life. Tell your students and get them super excited! This is a great way to introduce the concept, the rules, and expectations to the kids before you have all of your materials in the classroom. Students will be able to discuss the changes, why they are important, and how to use the materials properly without being distracted by the drastically different room. I had my students sign contracts for how to use the flexible seating options appropriately. The contract stated that if the students used the materials inappropriately, they were to be moved up by the teacher. I also had my students practice flexible seating before we had our materials in the classroom. I did this during independent reading time or homework time; students were allowed to find a successful seat in the classroom (floor, under their desk, on the front carpet etc.) to work quietly in. I found the practice worked as a great transition to when the materials finally came in and were set up. Step 3: Set expectations and rules for your materials. Remember, you are not turning your classroom into a playground. Students need to be responsible for your materials and understand that they are not in the room for fun, but that they are tools to help students learn. Setting clear rules and expectations will help with this and keeping up with your expectations will allow for a smooth transition and implementation process. Some rules could be: one pillow/cushion per person, no saving seats, no running to snag a certain material or seat, allow for one warning before moving students to a new seat in the classroom, etc. Step 4: Practice and routine make for a perfect classroom culture. After implementation, my students always wanted to get to my class on time in order to choose their best seat. You will find that students feel a release of stress when they enter your room. It is comfortable and welcoming, and optimal environment for engaged learning. Be strict with your rules and expectations. Have students practice using the materials and putting them away properly. Once they understand that these materials are tools and not play things, they will stop trying to abuse them. Create a sense of buy-in or ownership. If students’ families donated or purchased materials, make sure they are recognized and let them know that not every classroom is able to have flexible seating because most students cannot handle the responsibility. 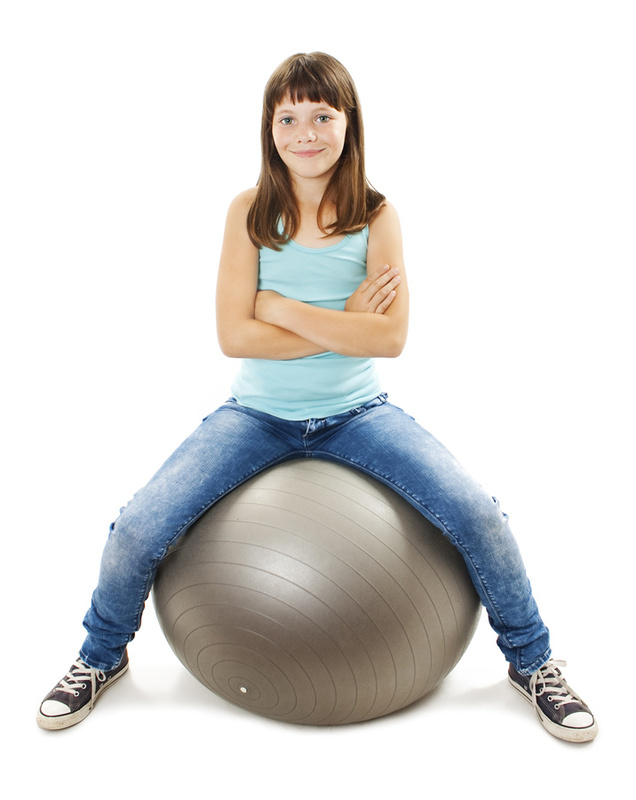 I had yoga balls in my classroom, and I taught middle school. I bet you do not need to guess what kind of inappropriate jokes I had to deal with when the yoga balls entered my classroom, let alone curing middle school students of the urge to kick a ball that is in front of them. It took practice and training, but in the end we were successful. How you ask? We never called them “balls” in my room; we referred to them as either “yogas” or “chairs” because that is what they were in the classroom. Step 5: Learn as you go and be flexible! Not all flexible-seating options will work for you and your classroom and that’s okay. Understand that it’s fine to try something new and take it away if it doesn’t work for you, your teaching style, or your group of kids. The ultimate goal here is for students to be able to choose a successful seat for themselves and to be able to work in the seat that they choose. 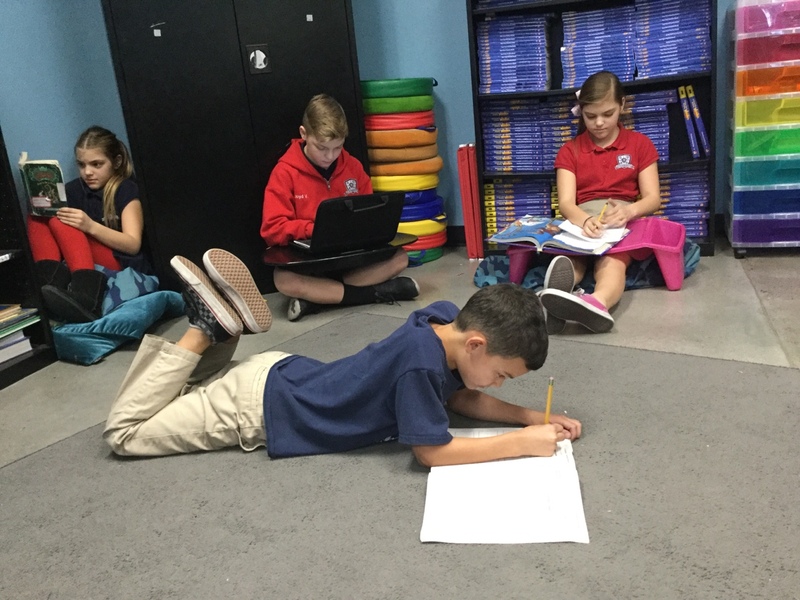 You will find some students love being tucked in the tiniest space, love being stretched out, or just sit at a traditional desk as if flexible seating didn’t exist. All of that is okay and normal! It’s perfectly okay to be flexible with your students. Oftentimes my administrators will come into my room and I will be sitting at the high-top tables with the kids, or sitting on a yoga with them discussing their work. Kids love to see and hear about your favorite flexible seating choice as well! Be sure to catch the first of the series Flexible Seating – Part 1 – The Idea! Next Post Can the 12 Days of Christmas Break the Bank? Pingback: Flexible Seating is the Way To Go!